The holiday home is nestled on a quiet cul-de-sac and boasts an intimate setting with room for up to ten guests. 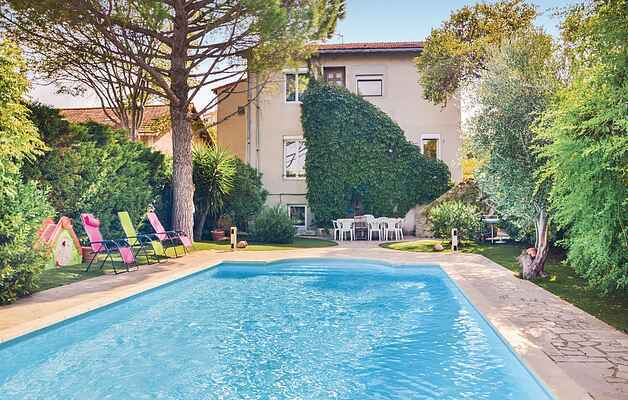 It boasts a spacious garden, a sun terrace and a comfortable interior. The surrounding area is home to no fewer than nineteen beaches and rocky coves. There is plenty to do, including watersports such as sailing, diving, jet skiing or kayaking. Marseille is home to typically Provencal architecture, as well as the Basilica of Notre-Dame-de-la-Garde and the Pharaohs Palace. The old port is a lovely spot for a relaxing walk and is home to an array of restaurants.